Nations League Group C1, Hampden Park, Tuesday, Novermber 20, 7.45pm. Live on Sky Sports. Scotland were a breath of fresh air in Albania and can complete a Nations League rescue job tonight. Alex McLeish's young guns turned on the style on Saturday and need another three points to finish top of the pile. 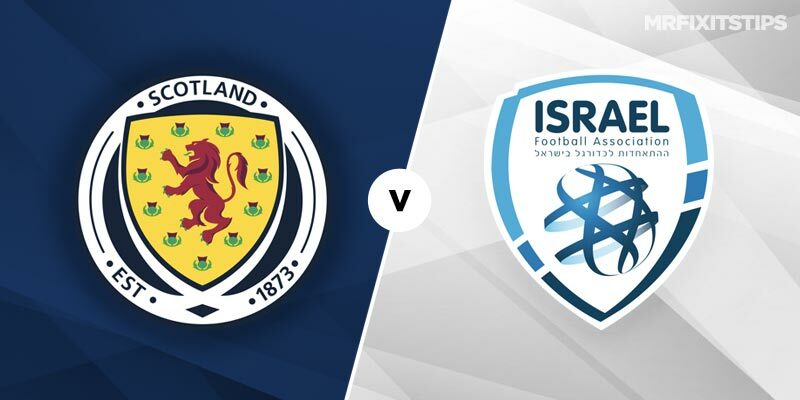 Israel stunned the Scots in Tel Aviv and are clearly better than Albania even though they lost in Shkoder. They have players our young defenders will have to watch carefully such as Munas Dabbur, Toner Hemed and Dia Saba. But Scotland will be feeling confident after their 4-0 romp and I'm backing them to do the business. McLeish's men are massive favourites at a best 4-5 with Betfred with Israel 4-1 at McBookie and the draw 11-4 at bet365. I can't see many of any changes to the line-up after Ryan Fraser, James Forrest and Steven Fletcher found the target and caused the Albanians no end of problems. Defensively Scotland looked solid with Liverpool's Andrew Robertson excelling as usual and young centre-halves David Bates of Hamburg and Aberdeen's Scott McKenna unfazed by a big challenge. Cardiff's Callum Paterson filled in well at right-back and Callum McGregor was superb in midfield alongside Celtic team-mate Ryan Christie of Bournemouth. Fletcher is first-scorer favourite at 11-2 with 10BET but it was Fraser and Forrest who caused the most problems with their pace and trickery. Fraser took the honours in Albania and this time it could two-goal hero Forrest breaking the deadlock at 9-1 with Paddy Power. To score he is 4-1 with Betway while Fraser is 7-2 at bet365. Israel are likely to play for the draw and that could lead to a cautious game. They won't allow us the space we got in Shkoder so under 2.5 goals has a decent chance at 5-7 at 188BET. A 1-0 Scotland win would be fine and that pays 11-2 at BetStars.